Heat Stroke and dehydration. Unlike humans, dogs cannot sweat to cool down. If they get too hot, their internal body temperature can increase to dangerous levels, causing dehydration and heat stroke. Click here for more information on summer safety for dogs. Sunburn. Just like humans, dogs can get sunburnt. Breeds with blonde fur or thin coats are particularly susceptible. Dog sun-cream is now available at most vets and provides extremely good sun protection. Burned foot pads. Footpaths, patios, roads and sand can become extremely hot in the summer. If a surface is too hot for you to walk on, it’s too hot for your dog. Barbeques and open fires. If it smells good enough, a dog might try to eat food cooking on a hotplate. Always supervise your dog around open fires and barbeques, preferably keeping them on a short lead. Parasites. During the summer, ticks, fleas, mosquitoes, flies, and other insects are at their peak. 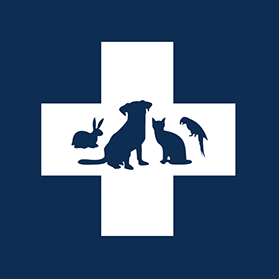 Talk to your veterinarian about appropriate protection such as collars, sprays, shampoos, dips and other products. Chlorine. Most dogs love to swim, however some dogs are sensitive to chlorine and will develop skin conditions and stomach upsets after swimming. Drowning. Even the most competent canine swimmer can be at risk if caught in a rip or current. Dogs can also tire easily in the water, making it difficult for them to make it to shore. Keep your dog well hydrated. During summer it’s important your dog has unrestricted access to a few bowls of fresh cold water, both inside and outside. This will ensure water is always available, even if one bowl gets knocked over. Be water-wise. If your dog is a regular swimmer, it’s worth investing in a dog life jacket. This will ensure he or she can be seen in the water and stay afloat. Be careful of rips and currents and avoid stagnant water as it could make you and your dog very sick. Avoid the heat of the day. Run or walk with your dog in the early morning or late evening. This will prevent them becoming sunburnt and dehydrated. Carry water when walking. When exercising your dog, take a collapsible water dish or run a route where you know your dog will have access to clean water. Provide shade. If your dog lives outside during the summer months, make sure you have adequate shade to shelter him or her from the sun. Kennels can really trap the summer heat, so ensure they are in a shady part of the yard. Leave your dog in the car. Within ten minutes, a closed car can reach temperatures of 45 degrees. In such temperatures, a dog is unable to shed its extra heat and may quickly suffer dehydration and heatstroke. If you are getting out of the car, take your dog with you. Muzzle your dog in hot weather. Muzzling interferes with a dog's ability to cool itself by panting. It can cause severe distress and dehydration. Keeping your dog cool and out of the sun is half the battle during summer. There are lots of inexpensive and creative ways to keep your dog cool. Ice cubes. Freeze chicken or beef broth into ice cubes. Dog cooling mats. Activated by pressure, these gel mats can stay cold for up to four hours. Cool bandana. Wet a piece of cloth and put it in the freezer to make a cool bandana for your dog. Slippery brick. Freeze half an ice-cream container full of water, layer with dog treats, and then freeze the other half. This will make a giant tasty ice-block that will last for hours.